Forecasting demand at the individual stock-keeping-unit (SKU) level often necessitates the use of statistical methods, such as exponential smoothing. In some organizations, however, statistical forecasts will be subject to judgemental adjustments by managers. Although a number of empirical and ‘laboratory’ studies have been performed in this area, no formal OR modelling has been conducted to offer insights into the impact such adjustments may have on supply chain performance and the potential development of mitigation mechanisms. This is because of the associated dynamic complexity and the situation-specific nature of the problem at hand. In conjunction with appropriate stock control rules, demand forecasts help decide how much to order. It is a common practice that replenishment orders may also be subject to judgemental intervention, adding further to the dynamic system complexity and interdependence. 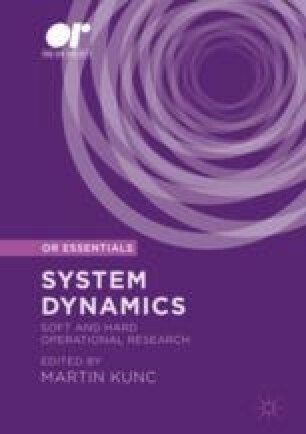 The system dynamics (SD) modelling method can help advance knowledge in this area, where mathematical modelling cannot accommodate the associated complexity. This study, which constitutes part of a UK government funded (EPSRC) project, uses SD models to evaluate the effects of forecasting and ordering adjustments for a wide set of scenarios involving: three different inventory policies; seven different (combinations of) points of intervention; and four different (combinations of) types of judgmental intervention (optimistic and pessimistic). The results enable insights to be gained into the performance of the entire supply chain. An agenda for further research concludes the paper.